Ireland’s political Establishment is only now realising that Brexit really does mean Brexit and that the case for an accompanying Irexit is overwhelming. Irish opinion is likely to move in this direction over the coming two years and UK policy-makers should encourage that. 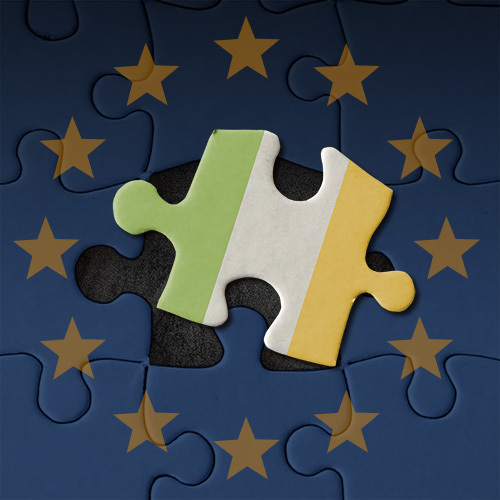 For forty years from 1973 the Republic was a major recipient of EU money through the Common Agricultural Policy. Since 2014 the Republic has become a net contributor to the EU Budget. In future money from Brussels will be Irish taxpayers’ money recycled. This removes the principal basis of Irish europhilia, official and unofficial. If Dublin seeks to remain in the EU when the UK leaves it will have to pay more to the EU budget to help compensate for the loss of Britain’s net contribution. A bonus of leaving along with the UK on the other hand is that it would enable the Republic to get its sea-fisheries back - the value of annual fish-catches by foreign boats in Irish waters being a several-times multiple of whatever money Ireland got from the EU over the years. As regards trade and investment, the Republic sends 61% by value of its goods exports and 66% of its services exports to countries that are outside the continental EU26, mostly English-speaking. The USA is the most important market for its foreign-owned firms and the UK for its indigenous ones. Economically and psychologically it is closer to Boston than Berlin and to Britain than Germany.